(RxWiki News) The US Food and Drug Administration (FDA), Centers for Disease Control and Prevention (CDC), and other state and local partners are investigating an outbreak of salmonella linked to papayas. 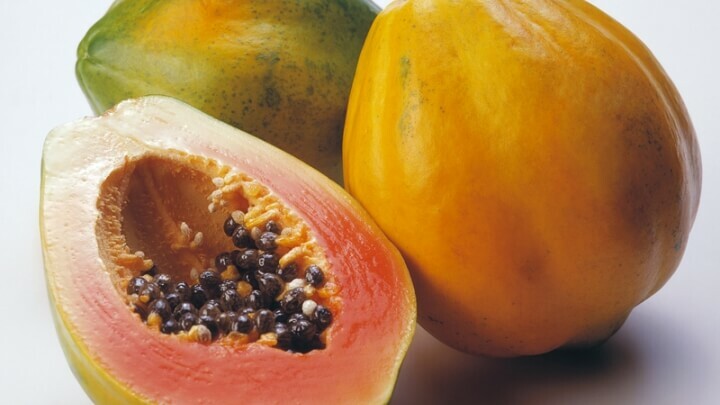 Some of the reported illnesses are linked to Caribeña brand Maradol papayas from Mexico. The FDA is warning consumers to avoid eating Caribeña’s Maradol papayas. Grande Produce has announced a voluntary recall of its Maradol papayas (labeled Caribeña on cartons), which were distributed across the United States between July 10 and July 19. FDA officials recommended disposing of any Caribeña papayas immediately. However, the FDA has noted illnesses in other states where Grande Produce did not distribute its papayas. This means other firms have likely distributed contaminated Maradol papayas. The investigation is ongoing. The FDA said it would announce any other affected papaya brands as soon as that information becomes available. The CDC reported that an outbreak of a type of salmonella called Salmonella Kiambu has led to 47 cases, 12 hospitalizations and one death in 12 states. These states include Iowa, Kentucky, Louisiana, Massachusetts, Maryland, Minnesota, New Jersey, New York, Pennsylvania, Texas, Utah and Virginia. Salmonella infection can lead to diarrhea, fever and stomach cramps 12 to 72 hours after infection. The illness typically lasts four to seven days. Most people recover without treatment. Children are at the highest risk for salmonella infections. The elderly, children younger than 5 and those with a weakened immune system face a higher risk of severe salmonella infection. If you had any of the potentially contaminated papayas in your home, the FDA recommends thoroughly cleaning and sanitizing any areas that might have come into contact with the fruit. This includes kitchen counters, refrigerators and utensils. If you believe you have become ill from eating contaminated papayas, speak with your health care provider. Contact your health care provider immediately if you have diarrhea that lasts for more than three days. Seek immediate medical care if your diarrhea is accompanied by a high fever or blood in the stool or you have been vomiting so much that you cannot keep liquids down and you pass very little urine. This entry was posted in Pharmaceutical, Uncategorized and tagged Caribena, papaya, salmonella. Bookmark the permalink.